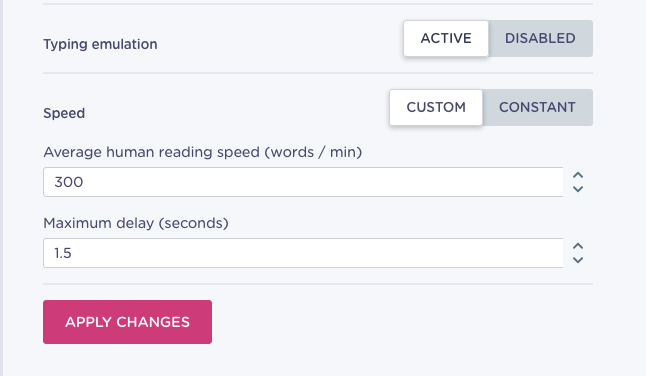 Custom speed: you can configure how much time will the emulation last by modifying the average human reading speed (first field) and setting up a maximum delay (second field), great for long texts. 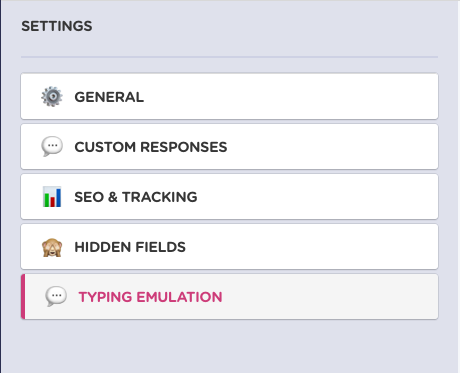 Constant speed: the typing emulation will last a certain amount of seconds. 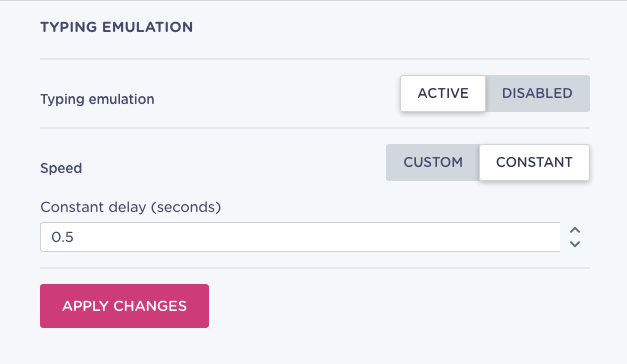 By default, it's 0,5 seconds, but feel free to customise it! When you are finished just click in APPLY CHANGES and that's it! 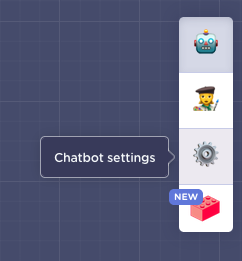 The typing customisation is available for the Welcome Message, Send a message and Ask a question type blocks, as those are the ones seen by visitors.